The Place Beyond the Pines is a movie about the decisions you make and how they may have far reaching implications. The story encompasses the lives of several characters . Derek Cianfrance’s most ambitious film has arrived and he is proving himself to be quite the filmmaker. Derek applies the same intimate approach to this film as he did with Blue Valentine and expands it into a Babel of crime dramas in a sense. As if the screaming masses needed another reason to watch a film starring the actor/musician/ entertainment connoisseur Ryan Gosling. It’s becoming abundantly clear that he is not just a fad. He is a legitimately good actor and he shows it film after film; this time being no different. 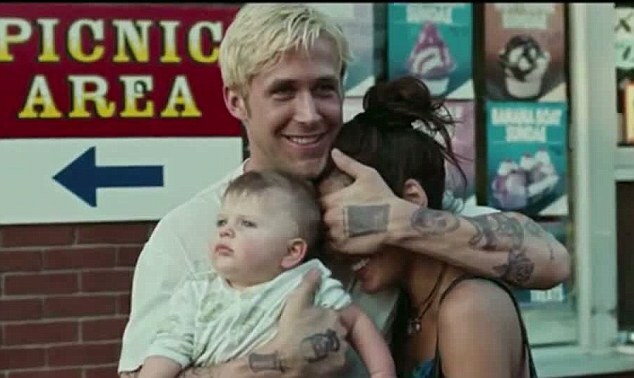 Gosling plays a somewhat famous motorcycle stuntman turned bank robber, Luke Glanton. His outlook on life changes in an instant when he learns of a son that was kept away from him byhis ex. Ryan’s character is easy to sympathize with. We get a performance we have come to expect from Gosling. Gosling is easy to sympathize with even though his actions may be flawed, we still feel as though they are justified. The segment of the plot with the most impact in my opinion came from the examination of Dane DeHaan who played Luke Glanton’s son and Emory Cohen who portrayed Avery’s son. Everything that transpired weighed on their characters if they knew it or not. Emory Cohen in particular had a very good performance. The young actor portrays a misunderstood kid who has fallen into a culture of drugs and partying with great effect. Even with all the slang and cool kid vernacular being thrown around it still felt genuine and natural. >The film has an ensemble cast with strong performances, the choices that were made become theirlegacy. The film has some great cinematography. The film also sports a compelling score that surprised me. The only downside that I can think of is the somewhat erratic pacing of the last 2/3 or half of the movie. The film was essentially a three part story/epic. It would have been interesting to see some of aspects of the story being more explored. Through and through I was satisfied and I recommend it! I’m looking forward to more of Cianfrance’s work. This entry was posted in Movie Reviews and tagged Blue Valentine, Bradley Cooper, crime, Derek Cianfrance, drama, Emory Cohen, Epic, eva mendez, movie reviews, Movies, Review, ryan gosling, the place beyond the pines. Bookmark the permalink. Spoiler Alert: Good Movie. Gotta watch again. My Roommate watching it right now. Love the bank scenes so intense.